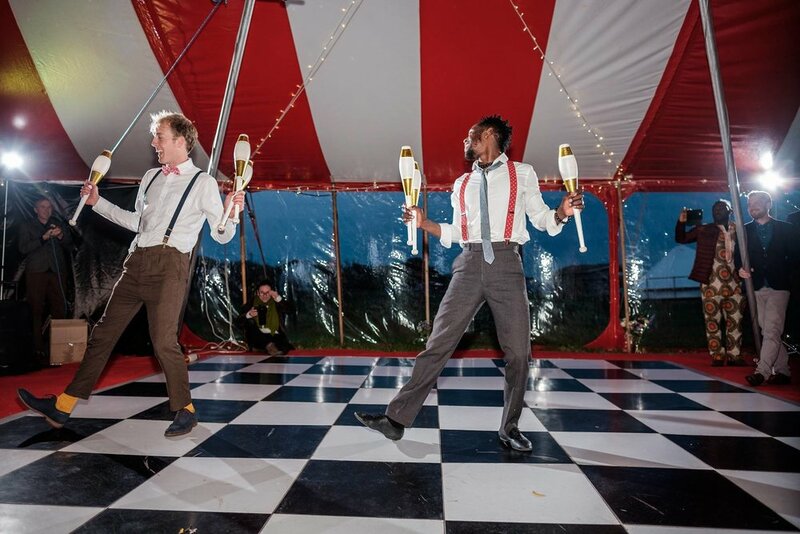 Lucas & Moses are circus twins, separated at birth with one of them being raised in Kenya and one in rural Devon! 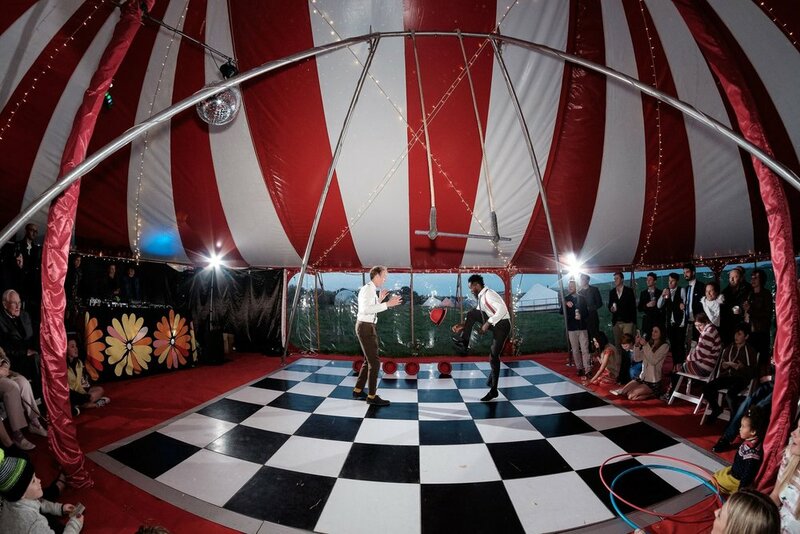 They came together in Bristol 3 years ago and have been performing together ever since. 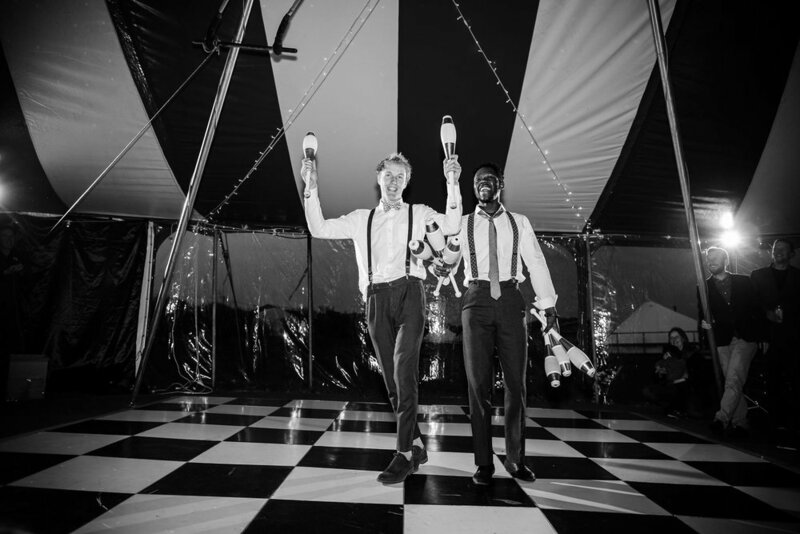 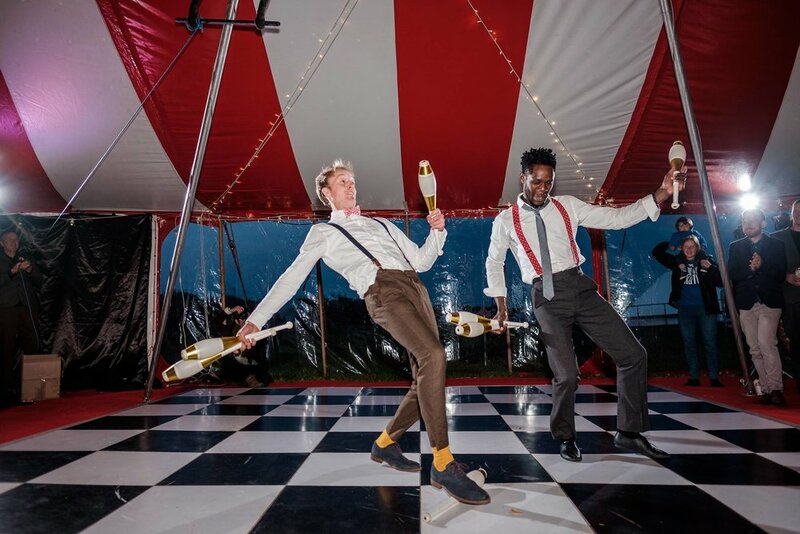 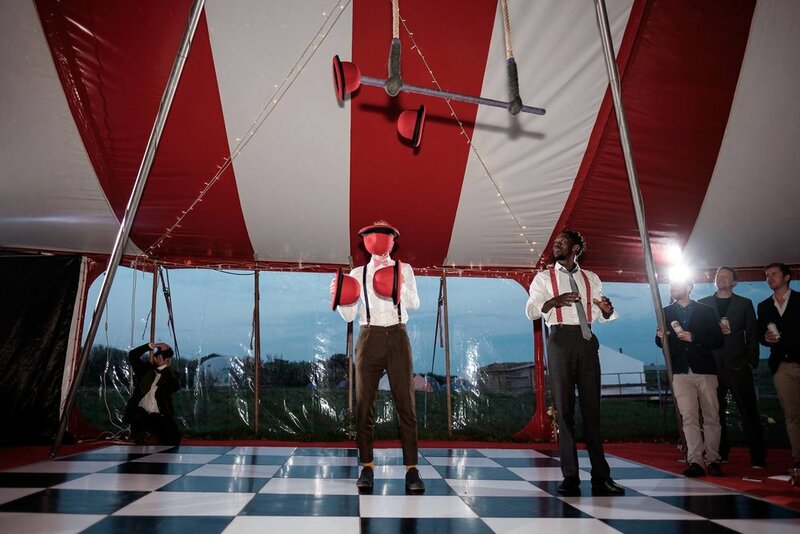 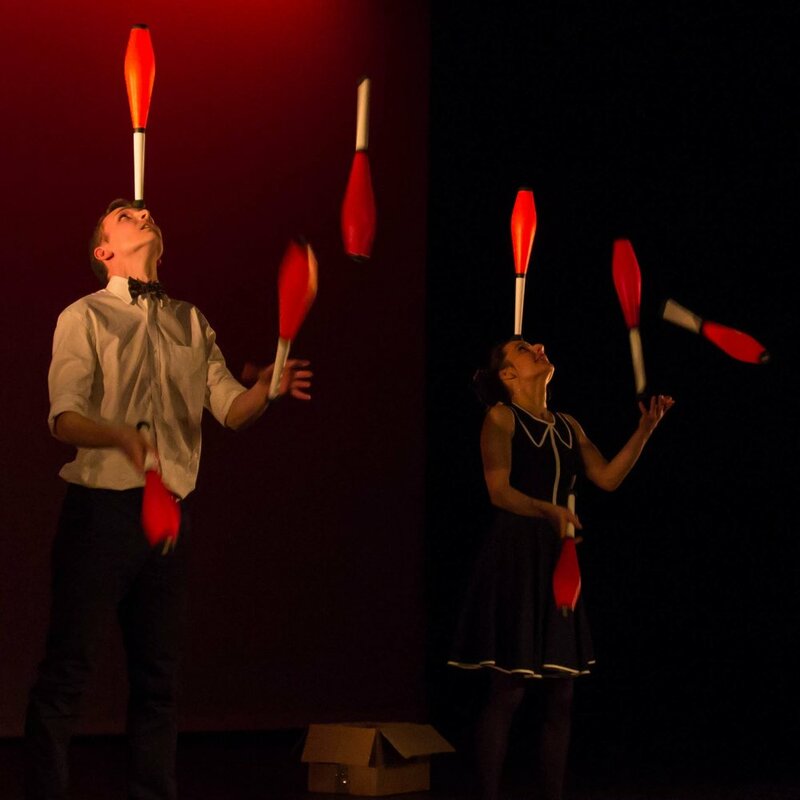 They offer a high energy and hugely varied skillful circus show which can be performed as a focal point which will enthrall your guests and kick start your event. 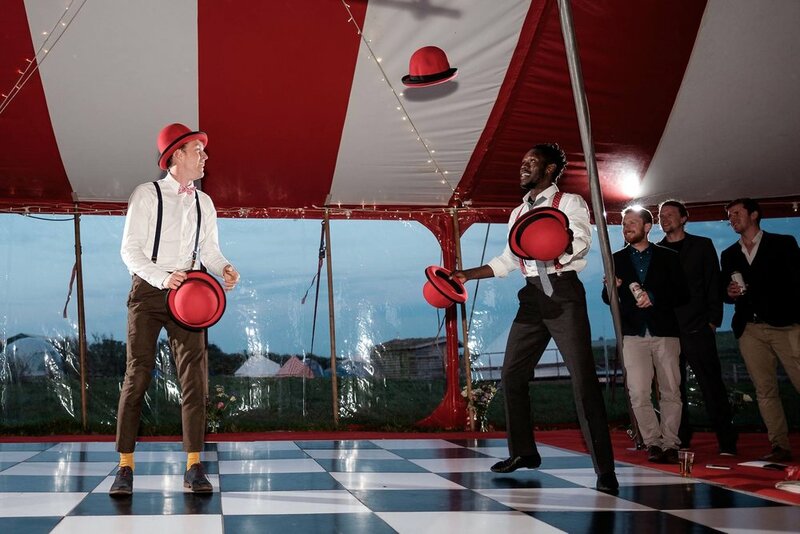 If a stage show isn’t suitable they are equally comfortable roaming between your guests and adding atmosphere by creating mini shows with small groups of people then moving on to the next group.